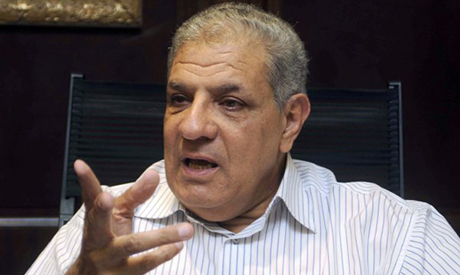 Ibrahim Mehleb has been asked to form Egypt's new government by interim President Adly Mansour. Mehleb, who resigned as housing minister on Monday, said he would immediately start consultations on the appointment of a new cabinet. A former member of Hosni Mubarak's National Democratic Party (NDP) and ex-chairman of Arab Contractors, one of the region's leading construction companies, Mehleb will succeed Hazem El-Beblawi as prime minister. During a press conference on Tuesday afternoon, Mehleb outlined the goals and priorities of his new cabinet, which he said would be formed within three to four days. The new cabinet will have security and public services at the top of its agenda. Full logistic, financial and moral support will be given to the police. Red tape in the state bureaucracy will be tackled and regulatory bodies to fight corruption will be formed. A continuous battle to improve social justice will be made. The post of defence minister, currently occupied by Field Marshal Abdel-Fattah El-Sisi, will be appointed by the president. Some observers have said the cabinet's resignation was designed to facilitate a presidential bid by El-Sisi, which he cannot do if he remains defence minister. Mehleb said he would exert all his efforts to meet the hopes of the people. On the wave of public sector strikes, Mehleb said dialogue with workers was the only solution. Mehleb thanked his predecessor as prime minister, Hazem El-Beblawi. Sources speaking to Al-Ahram's Arabic website stated that the ministers of sports, health, electricity, civil aviation, finance, supply, and higher education are expected to be replaced. Ibrahim Mehleb, who was recently tapped to head Egypt's next cabinet, recently denied charges that he condemned the failures of El-Beblawi's government. Mehleb added that he would continue the path set by his predecessor and that he viewed El-Beblawi as a mentor. We have limited resources, POOR, nation with over population. Let us distribute what little we have among us. Please leave the army alone to protect us against our enemies abroad and on our door steps, Sinai.